Candler County, Georgia is part of the Eighth Judicial Administrative District of Georgia. State Court is a trial court with limited jurisdiction covering misdemeanor and traffic violations, prosecuted by the Solicitor's Office, and all civil actions, regardless of the amount, unless the Superior court has exclusive jurisdiction. Juvenile Court exercises jurisdiction in cases involving delinquent, unruly, deprived, and runaway offenses under the age of 18. Juvenile Court has concurrent jurisdiction with the Superior courts involving capital offenses, custody, child support cases, and termination of parental rights. 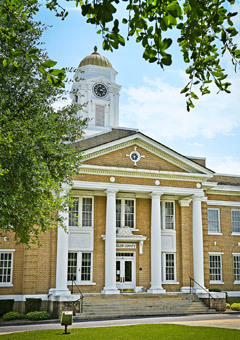 The Clerk of the Court for Candler County’s Superior, State and Juvenile courts also manages filings for Candler County Magistrate Court.